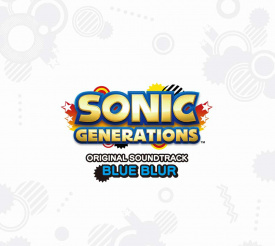 Sonic Generations Original Soundtrack: Blue Blur is a three-disc album featuring the music from the 2011 game Sonic Generations, released on 11 January 2012. A digital version of the album, Sonic Generations Official Soundtrack, was made available on iTunes and Amazon with fewer tracks. For a short time after release Jun Senoue made the album available from his personal website. If purchased there, the album would come with an autograph from Jun Senoue and a Sonic-themed guitar pick featuring a silhouetted Sonic in his classic Sonic Adventure pose. Not every track in Sonic Generations is represented here; the unlockable tracks available in-game are not featured on this album. Only music created specifically for Sonic Generations is featured on this album. This page was last edited on 9 February 2019, at 23:29.